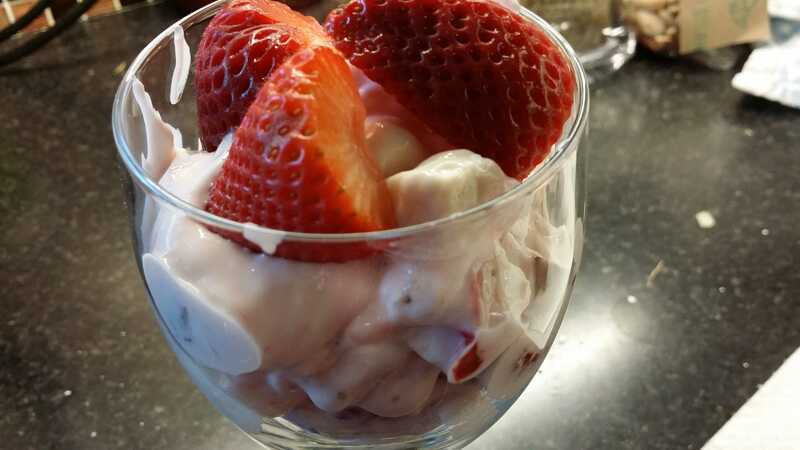 Love Eton Mess and this is a slimming World friendly version of the same. 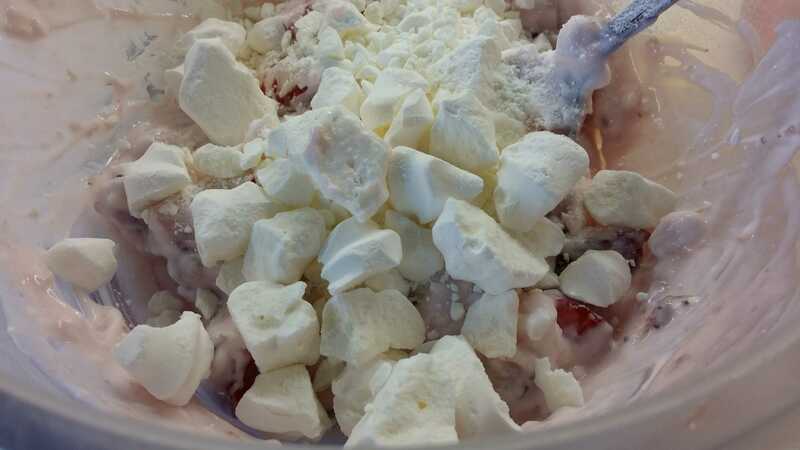 The syns are only for the meringue, we use a nest per person at 2.5 syns but feel free to use less and make it "better" if you prefer. OK, this is so simple, there are very few steps. 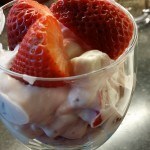 Mix the yoghurt and quark then add the chopped strawberries and stir then fold in the crushed meringue.